Jethalal Kanayalal Music party was originally formed by Shri Jethalal Chughria many years back. JK Music party is currently consisting of these members. Today Gurmukh Chughria is a very well known Sindhi Singer from Sindhunagar. Many of his fans may not know the struggle and story behind formation ofJK Music Group. Read ahead the story behind to know the account of events and milestones which made JK Music famous around the world. His father Shri Jetha lal had travelled with ‘Sindhi Koyal’ Bhagwanti Nawani ji across the world. Gurmukh recalls about their stay in London for more than a month when they used to shuttle between various destinations. The day after performing at a place, they used to board flight to reach another venue. This was around 1986 when Gurmukh and his sibling were very young. It was during that time, that Nawani ji suffered a paralytic attack. All the artists accompanying Bhagwant ji, pitched in, whatever they had earned from the performances in London, for her treatment and finally after spending around 50 days in London, the team returned to India with nil earnings from the tour. Soon Bhagwanti ji left for heavenly abode and that tour was Jetha lal ji’s last tour with the legendary Sindhi singer. 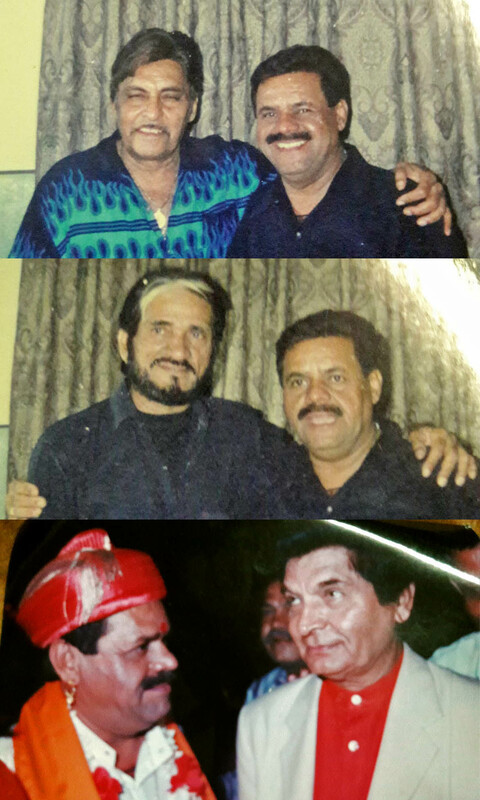 Soon Jetha ji joined Dada Satramdas’ group and performed with the team at various places including Manila and Dubai. But certain group members had differences with Jetha ji and as a result they gradually stopped TAKING HIM ALONG. During those difficult days, Dada Kanhaiya lal, the Harmonium master stood by him. He was well known for his whistling skill and could ‘sing’ a whole song whistling to the tune. Soon Jetha lal ji and Dada Kanhaiya ji created a team and named it J.K.Music Group. During those days traditional marriage folk songs known as Laadha were performed a day before marriage. J.K Music group started performing on such auspicious occasions. Also during Chahliha festival, various different groups used to organise Behrana ritual from their shops, towards Chaliha temple, singing and dancing on the tunes of band during the procession. 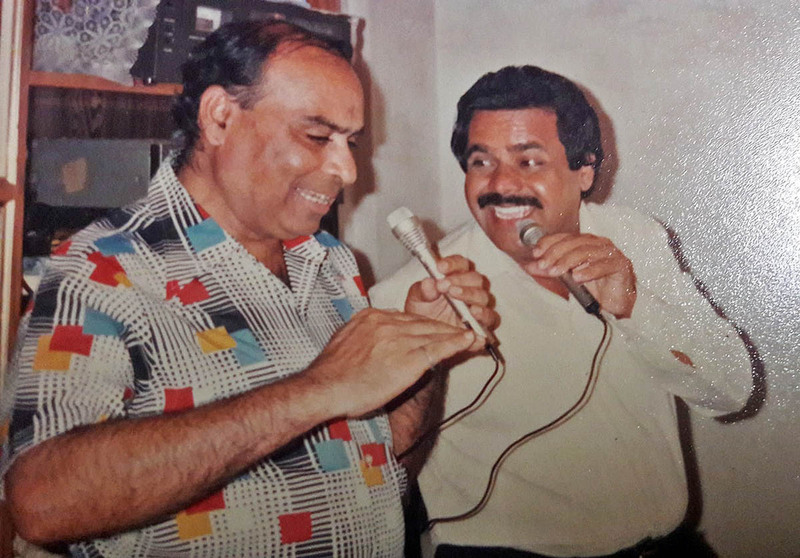 Gurmukh as a teenager then, used to thoroughly enjoy the whole festive atmosphere and performances of J.K Music group. His father was amongst the first of those who used to sing Laadha while BEATING a metal plate rhythmically with a spoon. 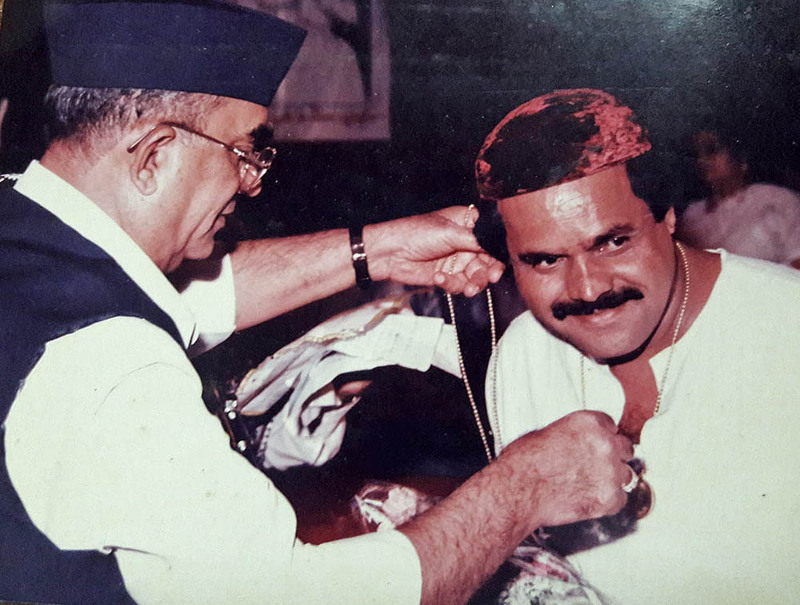 Later he used to sing on the rhythm of Dholak and would perform at various places, on various occasions. Gradually he met with different artists and performers and became a well known personality. He never tried to encash his fame as he was not a money minded person. His brother would often express his concern to his mother regarding the future of kids and their marriage prospects as singing and performing was not considered a very respectable job then. But Jetha ji had immense faith in his Jhulelal and even while living a life in penury, he happily fulfilled his responsibilities towards home and education of his kids. During those days, programmes were not frequently organized. To meet the ends Jetha ji used to drive auto rickshaw. Gurmukh recalls an incident when the group was asked to perform at for Madras Sufi dar to celebrate Navratras. It was then, that Dada Kanhaiya lal suggested Jetha ji to tag along Gurmukh for performance. Since his childhood Gurmukh was fond of singing and would often sing in female voice too. He sang songs and Bhajans, both in male and female voices and his performance was appreciated by the people. That marked his entry in J.K Music group. He was just 17 then. Soon the offers poured in Gurmukh would perform on Hindi filmy songs and Bhajans as well. During one such programme, Maya ji, mother of Tina, who had joined the group was singing a song, when Dada Kanhaiya lal broke into an impromptu whistling act, singing the same song alongside Mayaji. This offended her and she requested Jetha ji to ask Dada from refraining whistling alongside. Jetha ji obliged but that situation widened the rift between Dada and the remaining group, who would often express their displeasure over sharing the earnings with Dada, who according to them was not contributing in the performances. The group performed thrice without Kanhaiyalal, and hence when Dada questioned Jetha ji about that, Jetha ji told him to take retirement .Though Dada was obviously hurt but Jetha ji had to bow down to the pressure from the group. Situation was not rosy then, since many friends and acquaintances would rope in the group for performances but payments were delayed to the extent that Jetha ji had to ask Gurmukh to look into the matter. Gurmukh fixed the rates of performances in Ulhasnagar and though initially many haggled over the rates but gradually things got streamlined due to stern steps taken by Gurmukh. The group was now famously known as Jethalal Party and they did many shows in various parts of India and abroad. Everything was going well till around the year 2000. DJ parties became trendy and people would opt for DJs instead of traditional singers for marriage celebrations and Laadhas. 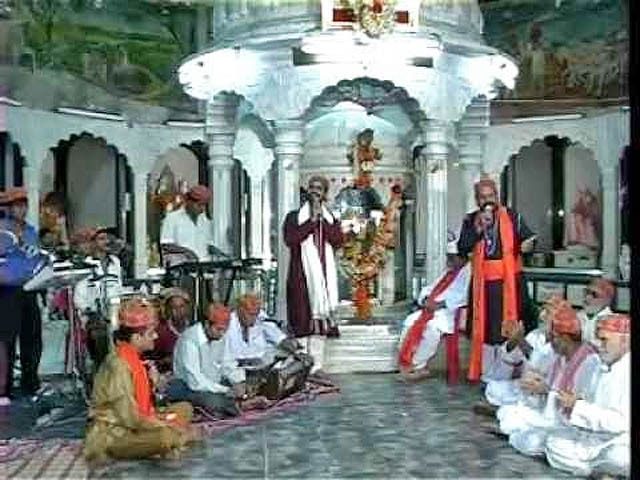 After struggling for around two years, Gurmukh’s friend Shri Rajesh Malhotra, a Bhajan Singer, who would also perform at Mata ki Jyot and Jaagran, suggested him to sing Mata’s Bhajans. Hesitantly, Gurmukh started singing few bhajans in Rajesh’s programmes. Soon Gurmukh started doing Mata ki Jyot and Jaagran in Ulhasnagar and his hard work paid off, making him one of the most sought after devotional singer in Sindhi community.